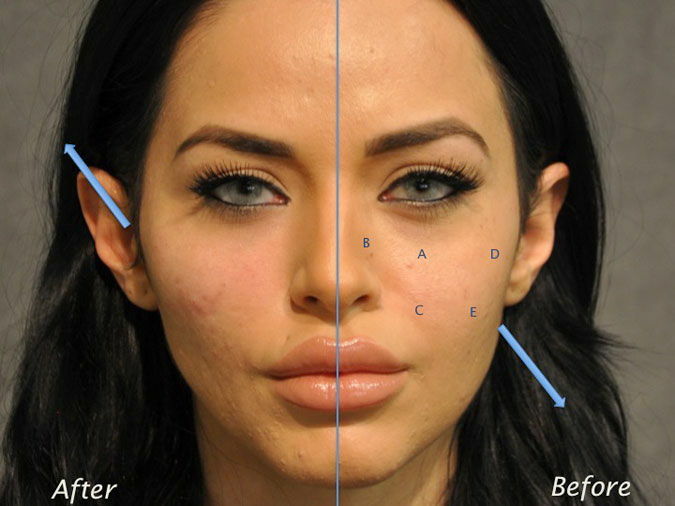 Although the use of facial fillers is widespread and commonly performed by a large number of practitioners, results can vary widely. When analyzing the folds around the mouth (nasolabial folds), cheeks and under the eyes (nasojugal groove), they should be analyzed as a single unit rather than separately. This will help produce a more natural and longer-lasting harmony in the face. 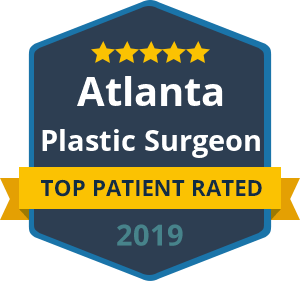 Dr. Talei, a dual board certified facial plastic surgeon is an expert using fillers and Botox, and his office is a popular destination for Botox and filler repair when other practitioners experience issues. Using fillers in this area is an effective and easy way to treat under eye hollows. The cannula technique allows more areas to be addressed without risk and without bruising. Dr. Talei prefers Restylane and Belotero under the eye in order to avoid complications that come with other fillers. Rejuvenation of the cheeks using filler has the power to make a patient look refreshed and more elegant immediately. Conversely, if is injected too low or lateral, the patient may leave looking like a chipmunk. The cheek can be separated into several subunits and different areas of tissue density. Most patients are best treated from high to low in order to maintain more volume higher in the face. For this reason, it is almost always better to address the under-eyes and cheek before treating the nasolabial folds. It is also important to realize that there is a significant difference between augmenting bony volume and soft tissue volume with fillers, as each will have a very different effect and length of duration. The nasal sidewall, or the slope extending down the side of the nose, deepens over time in most patients and is often overlooked. This area can easily be refreshed using a cannula technique to volumize the flattened fat pad. Filling of this area is almost always combined with the filling of the under eye to maintain a natural taper and transition to the mid-cheek region. The lateral cheek can easily be augmented to enhance bony definition and contour. This increases the lateral projection of the cheek on frontal views. The lateral cheek filling can be connected to the under eye anteriorly and tapered posteriorly to produce the most natural 3-D result. The posterior taper is necessary to avoid a sharp drop-off and to separate the temple from the zygomatic arch. When the lateral cheek augmentation is performed subtly, patients notice the change most when applying contouring make up. A slight bit more can provide a very elegant heart shape to the face, which gives the appearance of having been lifted. In men, it is very important to address all three vectors of cheek projection in order to maintain masculinity while providing a more refreshed and rejuvenated appearance. The folds which extend from the nose downwards around the mouth are called the nasolabial or melolabial folds. The creases around the edge of the lips and mouth are often referred to as marionette lines. The nasolabial folds are most often best treated last when treating the cheek complex. Overfilling of this area may produce a simian or monkey-like appearance. This may be a result of effacing the natural fold, which exists between the cheek and the lip. It may also be a result of having a prominent mouth and lower face with a flattened midface and cheek. This causes the face to have a heavy and drawn appearance. The nasolabial folds should always be filled judiciously. One must also be careful not to inject the wrong material in this area or try to eradicate the natural fold with a procedure. When things go wrong in the nasolabial fold, they are extremely difficult to fix. Although opinions vary, Dr. Talei believes that permanent fillers such as silicone and silicone polymers should always be avoided. Injections of Radiesse or fat should only be performed in specific instances. It is always safest to treat this area conservatively with hyaluronic acid fillers or with cheek lifting surgery. Below is an example of what simple upper cheek filling can achieve. Please note that the nasolabial folds have improved without actually being filled.